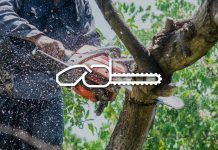 You can’t go wrong with investing in a good chainsaw, especially one that’s built to last and can preform a wide range of jobs. A quality chainsaw also provides a range of portability options, while delivering the maximum amount of power. If you’re really sick of manually powering through jobs with an axe or having to fuss around with an old worn out chainsaw, it’s time you take a look at a few Echo Chainsaw reviews. 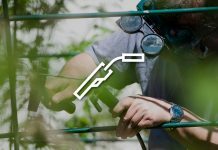 Echo stands a cut above in the industry thanks to their excellent manufacturing that makes them built to last and tackle some of the toughest jobs. Here’s a look at some of the best Echo products money can buy. One of the great things about Echo is that they make high quality products that are really user friendly. When it comes to the Echo CS-400, things are no different. The Echo chainsaw cs-400 comes with a 5 year warranty and features a lot super convenient functions, like smart choke technology, which makes start up a breeze. Unlike the Husqvarana 450 rancher, the Echo CS-400 is also incredibly lightweight and very durable with the ability to cut trees 25 inches in diameter. If you use your saw around the house, then you’ll find this particular chainsaw to be a huge help. The Echo CS-590 comes with a lot of features that make using its simple and efficient. Firstly, it comes with a decompression button that makes easy work of pull starting. Next, it has a transparent gas tank, which is perfect if you hate having to open up your chain saw to eyeball how much gas you may (or may not) have left. Also it’s safer than a lot of other machines, with an automatic chain break that moves into immediate effect if the kickback is too forceful. Echo Gas Chain Saw CS-310 14"
There are two types of annoying chainsaws that can make you want to pull your hair out: a chainsaw that won’t start (or drive you bonkers before it does) and a chainsaw that’s beyond loud. If any of these things have you on the fence about purchasing a chainsaw, fear no more! The Echo cs 310 chainsaw is incredibly easy to start and much quieter than other saws. Although the echo cs 310 is smaller in size compared to other machines, it’s just as powerful. What’s really great about this chainsaw is that’s a real money-saver. Not only is it priced at a lower rate than a lot of other gas chainsaws, but it also uses up less fuel. 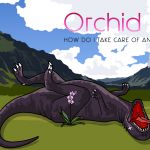 That’s not just good for the environment, that’s perfect for your wallet! Additionally, the start is so much easier when compared to other models, requiring 30% less effort than other brands according to the manufacturer. 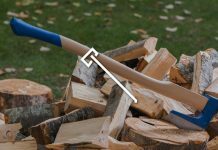 It’s effortless to use as well, and cuts trees and limbs with ease. If you’re looking for a chainsaw that’s of a high caliber, you don’t need to go any further than the Echo CS-490. What’s really great about this machine is that it doesn’t leak oil, which can be one pain of using a chainsaw. This feature, plus its general fuel efficiency, make it a great investment. 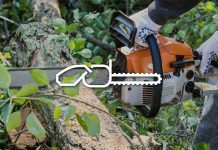 Echo is brand that’s known for creating models that last a long time, and this chainsaw is no different, with many echo chainsaw reviews noting that it has the durability to last for years. Echo CS-600P Gas Chainsaw 20"
The 59.8 cc professional-grade engine on this chainsaw makes it one of the most powerful machines available on the market. It has enough power to take out some pretty large tress, and it’s really user-friendly. You won’t spend hours trying to figure out how to make adjustments. This machine is designed in a way that makes it straightforward and easy to understand. Additionally, this unit is compatible with bar sizes ranging from 20” to 28”. 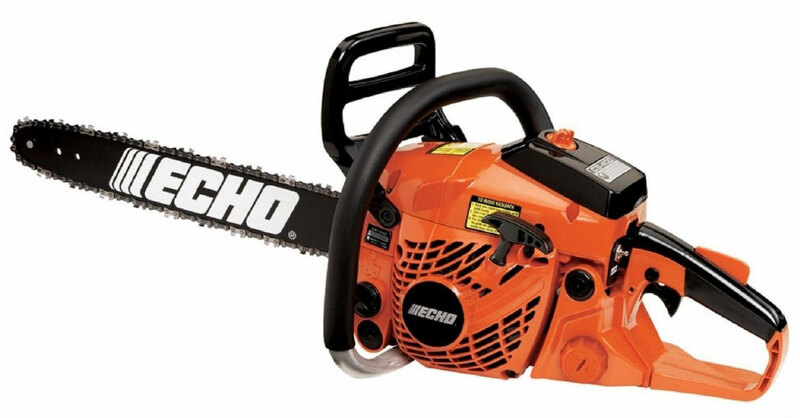 Echo Gas Chainsaw CS-271T 12"
This is one of the best rated chainsaws made by Echo as echo chainsaw reviews are quick to point out. It’s extremely lightweight and can tackle a lot of the small jobs. It’s also easy to use for limbing and cutting down branches. Even better, it’s 26.9cc Displacement engine delivers incredible power considering the size. It also features an anti-vibration handle, which keeps your hands from feeling the effects after hours of sawing. If you do a lot of smaller projects around the house, like breaking down fallen braches, then this is the perfect chainsaw for you. No one likes holding a heavy chain saw while doing small tasks. In fact, they can slow you down. But not with this machine! According to echo chainsaw reviews, it’s the lightest chainsaw on the market. A chainsaw is designed to make your life easier. This particular saw is usually portable and mechanical, with a rotating chain and teeth that do most of the cutting work for you. Most chainsaws features a gas engine, which gives it power. However other saws are powered by electricity such as battery operated or corded chainsaws. Chainsaws might look simple, but they’re actually highly complex machines. When you pull the starter rope, the machine’s cylinder comes to life, igniting spark plugs while pushing the piston up and down and spinning the crank. As the piston travels down the cylinder, an area where the fuel can enter opens up. 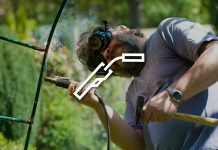 In that area, the fuel is ignited by the spark plugs. When the piston travels back up the expended fuel is then released via the exhaust port. However, this speed is not enough for the chain to spin, since the clutch prevents it from spinning when the engine is idle. Pressing the throttle trigger will accelerate the engine and cause the chain to spin. Unfortunately, no matter the kind of chainsaw you use there will always be things that you really like about it and things that you could do without. Despite being a high quality manufacturer, that even still stands true for Echo products. 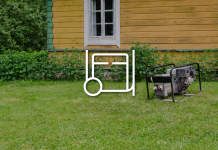 However, when it comes so to comparing Echo products with other manufacturers, like the echo vs husqvarna chainsaw, the Echo typically has less cons. · Narrower bar. 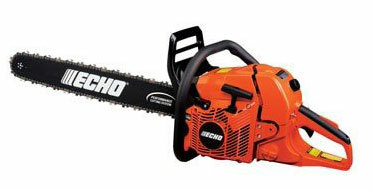 Most chainsaws made by echo tend to be a little smaller than more heavy-duty chainsaws. 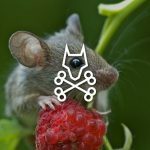 This can hinder the kind of work you can do (like felling really large trees) and the increase length of time it takes to do one task (although, not by much). · Limited power. Smaller chainsaws are also typically not as powerful as bigger machines, which means it might take you longer to get certain jobs done. · Lighter weight. One of the defining features of many echo chainsaws is that they’re very easy on the arms. 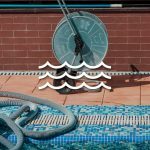 This can be a great advantage if you are doing a lot of work for longer periods of time since you won’t tire as quickly. · Easy start. Unlike other machines were you have to pull over and over again to get the engine to start, these units start in three pulls or less. · Easy tension adjustment. Adjusting the chain is a big part of safety, but it can be hard to do when you consistently have to stop to retighten. That’s not the case with product. You don’t have to worry about adjusting the tension quite as often. · Less vibration. Since a lot of these machines come with an anti-vibration handle, you’ll find that they’re more comfortable to use for long periods of time. 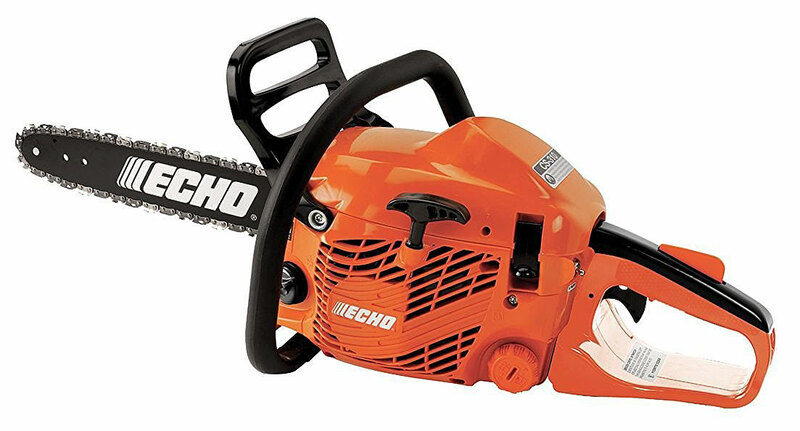 You really can’t go wrong with an Echo Chainsaw, no matter the kind you chose. 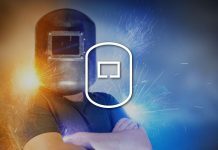 However, since Echo is a large manufacturer that makes everything from chainsaws to gas blowers and drill engines, you’ll want to select a model that is perfect for the tasks you do on a regular basis. 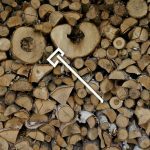 The first thing you want to consider is the power of the engine and the bar compared to the size of trees and/ or logs you cut. 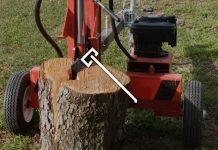 If you usually cut trees that are smaller in diameter, then you’ll need a unit that has a medium engine. One of the best ways to sharpen your chainsaw is by purchasing an echo chainsaw sharpening kit. They’re relatively inexpensive, and they’ll make your life a whole lot easier when it comes to sharpening. 1. Wipe off excess oil with a rag. Secure the guide bar within a vice. Make sure your chain brake is in place and that your chain is properly tightened. 2. Set up your file. Select the right file for your machine, attach it to the handle and slide it into the file guide. 3. Sharpen the shortest cutter first. Make sure you do this at the proper cutting angle for your chain, which can be found on the chart in your file kit. Tightening your chain is a really important part of safety and functionality when using your saw. Of course, how you tighten your unit will depend on the kind (manual, automatic tensioner, etc). However, to adjust the tension on a basic chainsaw you’ll need a 1/2 inch socket and a screw driver. 1. Loosen the blots. Located near the guide bar, simply loosen up these bolts using the socket. These make the blade movable. 2. Tighten the screw. Using your screwdriver, you’ll find a little screw located near the bolts. Simply tighten this with the screwdriver; the chain should tighten automatically. Once you’ve gotten the chain to the right tension, retighten the bolts with the ratchet. The great thing about Echo chainsaws is that they’re really easy to start. You really want to stay safe when starting your chainsaw. Never try to drop start or start the machine between your legs as this can lead to serious injury. 1. Engage the chain brake. 2. Place the machine on the ground. 3. Pull the choke lever. 4. Pull the start, and immediately push the chock lever back in. 5. Pull the start 2-3 more time until engine is on. What sort of lubricant and gas do you need? 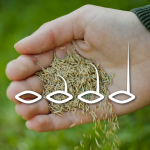 For any gas engine, you’ll need to use a mix of oil and fuel. You really want carefully follow the instructions set out in your product guide. Putting too much oil or too little oil can cause the engine to freeze up. 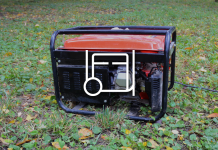 Additionally, using the wrong kind of fuel can damage your machine. 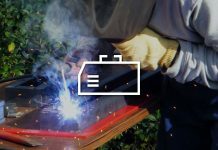 What’s worse, if you don’t use the right kind of fuel, any engine problems that show up in your machine aren’t likely to be covered in your warranty. So use the right fuel. You’ll also want to invest in bar and chain lubricant to keep the chain running smoothly. 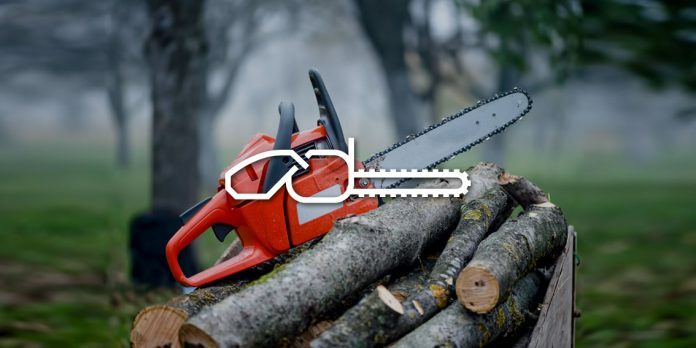 If you’re getting ready to store your chainsaw, there are a few really important things that you want to do before you do put it up, to protect the machine and yourself. The first thing you want to do is drain the fuel. After every use, make sure you drain it. Also, check your air filter and ensure it’s clean. Having a clogged air filter can make running your chainsaw impossible. 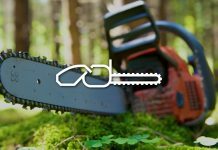 Finally, engage the chain break and place the sheath that comes with your chainsaw over it, so as to protect the chain and keep it from hurting anyone. Store your chainsaw out of the reach of children and pets. 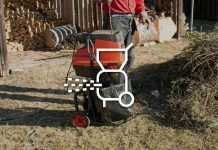 In essence, there are a lot of really good reasons to purchase an Echo chainsaw—especially if you work around the house a lot. The really amazing thing about these particular machines is that they’re designed to be very user-friendly and easy to use. Additionally, a great manufacturer makes them, so you have almost nothing to lose. So if you’re looking for a great chainsaw that will stay around for years, don’t wait any longer. Find the perfect Echo chainsaw for you today. It’s a decision you won’t regret.